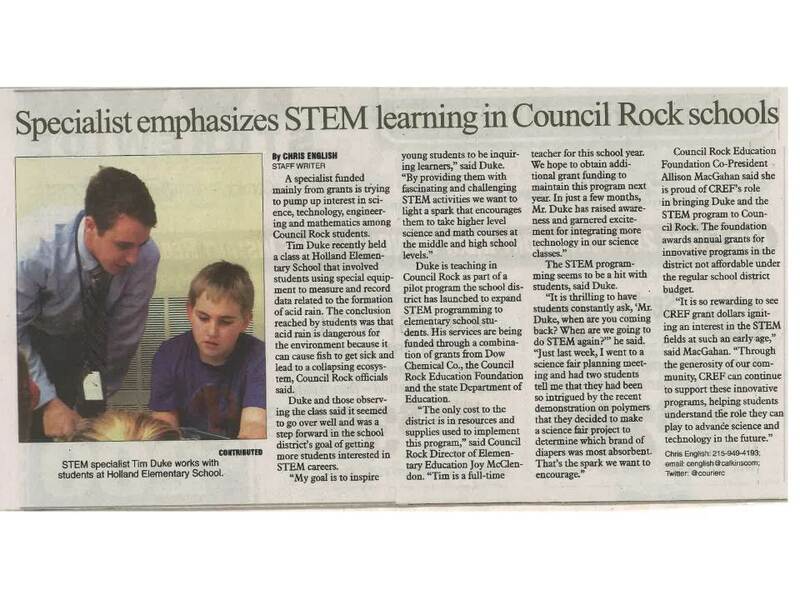 In September 2014, Council Rock launched a pilot program to expand STEM programming for elementary school students featuring STEM specialist Tim Duke. This integrated, interdisciplinary program is the result of collaboration between The Dow Chemical Company, the Council Rock Education Foundation, and a Ready-to-Learn Block Grant from the Pennsylvania Department of Education. 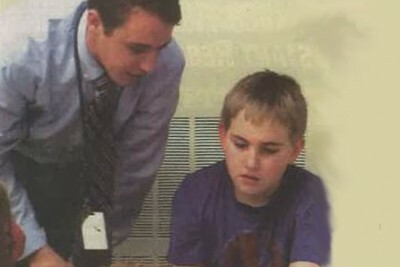 The Dow grant was written by Renee Devlin and Suzanne Wray, Council Rock Education Foundation Executive Director. To read the Courier Times article about this program, click HERE.